Few days back we written about best sites to start a new blog or website. If you are new to blogging world and looking for some marketing tactics to promote your blog. Today in this post we present you a Infographic which allows you to promote your blog site to a specific targeted audience. Most of the newbies are looking for some simple tips which helps them to get some audience or traffic to their blogs or website. There are lots of way which you will apply on your blog to get some decent traffic. But the problem is how to implement them and what are right tactics to promote the blog. The best and most important part to promote your site is to create unique content and after that how you promote that content on social media sites, how to create relationship with your readers, how to promote your brand etc. To promote you new site you will use lots of tools and tactics like Join social media accounts, content marketing, join groups and communities, email marketing, Join forums, paid advertising and more. In the below mention Infographic you will find some of the best tips and guide which allows you to promote your brand on the web and helps you to get some loyal reader for your new blog or website. Read all the marketing tips from the infographic and follow them on your blogs one by one. This will take some and little bit lengthy process, but it really helps you to promote your blog successfully. 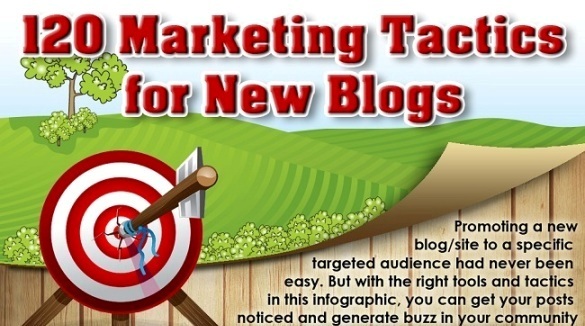 Thanks to digital Philippines for creating this awesome Infographic for the newbies to understand the marketing tactics to promote new blogs.